See! 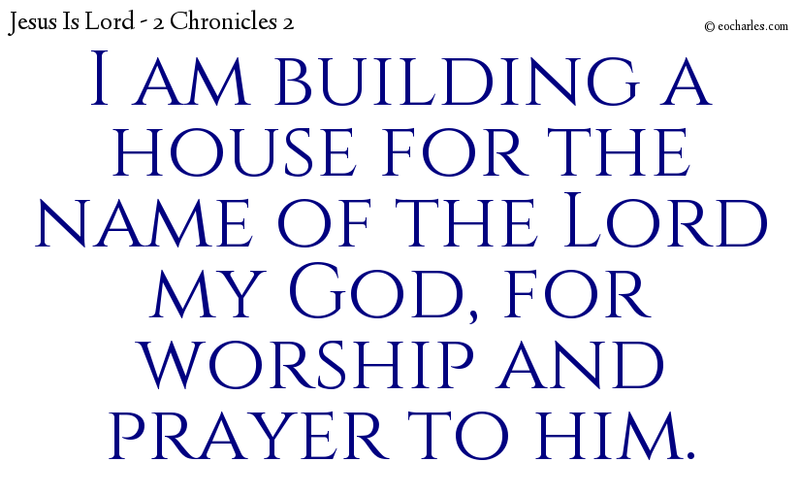 I am building a house for the name of the Lord my God, to be made holy to him, where perfumes of sweet spices will be burned before him, and the holy bread will be placed at all times, and burned offerings will be offered morning and evening, on the Sabbaths and at the new moons, and on the regular feasts of the Lord our God. This is a law for ever to Israel. Now when it was morning, all the chief priests and those in authority took thought together with the purpose of putting Jesus to death. Pilate says to them, What, then, am I to do with Jesus, who is named Christ? They all say, Let him be put to death on the cross. 1)Joh 10:17 For this reason am I loved by the Father, because I give up my life so that I may take it again. Joh 10:18 No one takes it away from me; I give it up of myself. I have power to give it up, and I have power to take it again. These orders I have from my Father. 2)Rev 5:6 And I saw in the middle of the high seat and of the four beasts, and in the middle of the rulers, a Lamb in his place, which seemed as if it had been put to death, having seven horns and seven eyes, which are the seven Spirits of God, sent out into all the earth. Rev 5:7 And he came and took it out of the right hand of him who was seated on the high seat. Rev 5:8 And when he had taken the book, the four beasts and the four and twenty rulers went down on their faces before the Lamb, having every one an instrument of music, and gold vessels full of perfumes, which are the prayers of the saints. Rev 5:10 And have made them a kingdom and priests to our God, and they are ruling on the earth. Rev 5:12 Saying with a great voice, It is right to give to the Lamb who was put to death, power and wealth and wisdom and strength and honour and glory and blessing. 1. 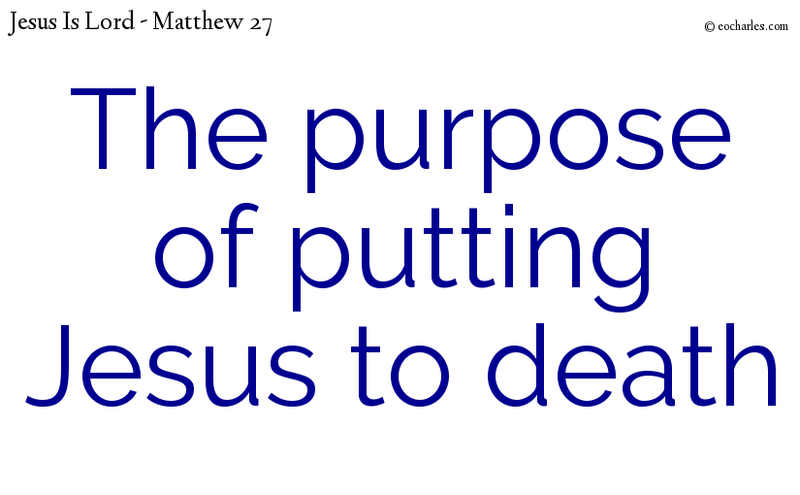 ↑ Joh 10:17 For this reason am I loved by the Father, because I give up my life so that I may take it again. 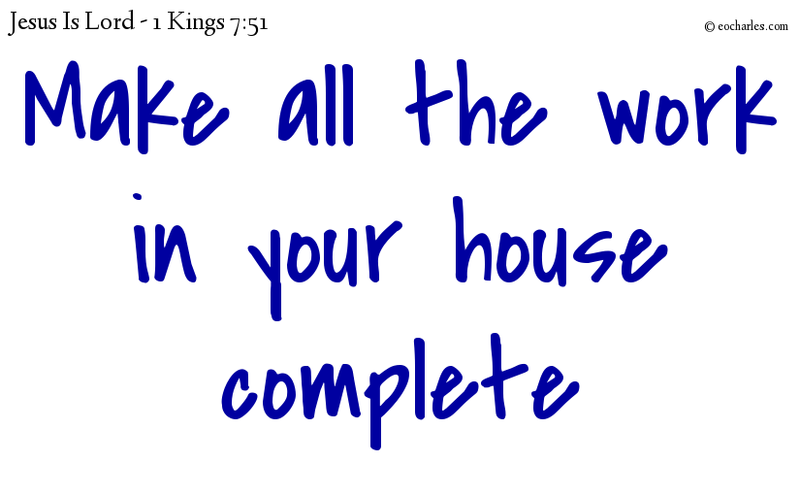 Joh 10:18 No one takes it away from me; I give it up of myself. I have power to give it up, and I have power to take it again. These orders I have from my Father. 2. ↑ Rev 5:6 And I saw in the middle of the high seat and of the four beasts, and in the middle of the rulers, a Lamb in his place, which seemed as if it had been put to death, having seven horns and seven eyes, which are the seven Spirits of God, sent out into all the earth. 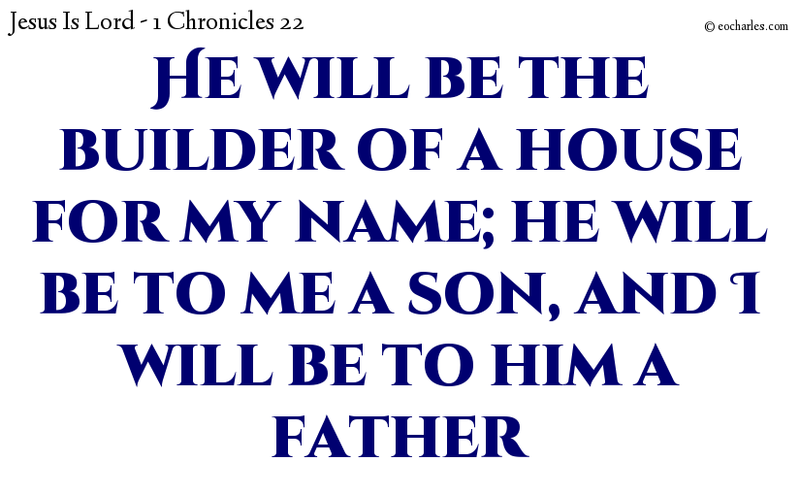 1)Joh 2:21 But his words were about that holy building which was his body. 2)Heb 10:5 So that when he comes into the world, he says, You had no desire for offerings, but you made a body ready for me 3)Rev 21:22 And I saw no Temple there; because the Lord God, the Ruler of all, and the Lamb are its Temple. 1. 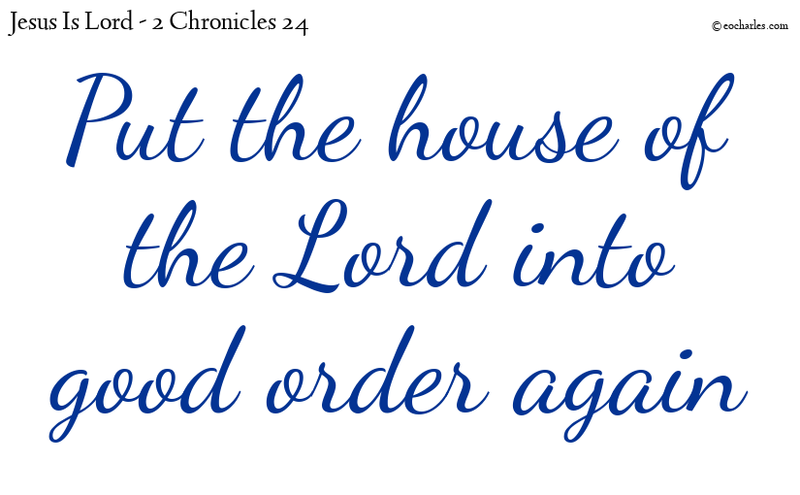 ↑ Joh 2:21 But his words were about that holy building which was his body. 3. ↑ Rev 21:22 And I saw no Temple there; because the Lord God, the Ruler of all, and the Lamb are its Temple. By the king’s orders great stones, stones of high price, were cut out, so that the base of the house might be made of squared stone. 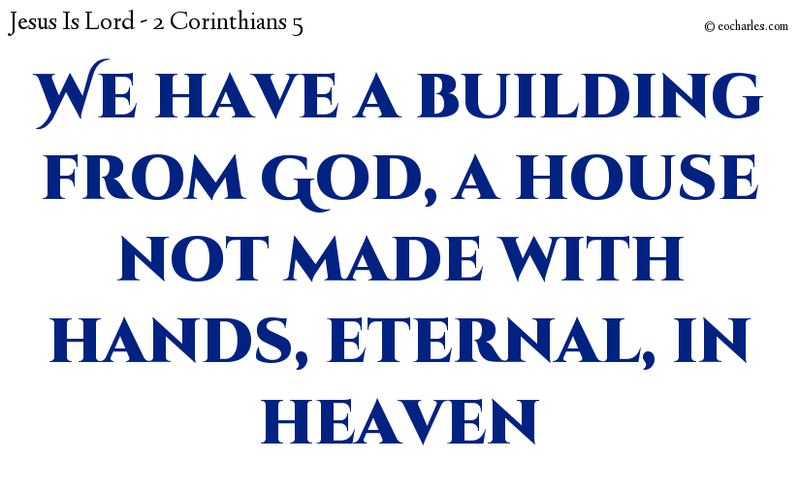 1)1Co 3:11 For there is no other base for the building but that which has been put down, which is Jesus Christ. 1Co 3:13 Every man’s work will be made clear in that day, because it will be tested by fire; and the fire itself will make clear the quality of every man’s work. 3)1Pe 2:6 Because it is said in the Writings, See, I am placing a keystone in Zion, of great and special value; and the man who has faith in him will not be put to shame. 1Pe 2:8 And, A stone of falling, a rock of trouble; the word is the cause of their fall, because they go against it, and this was the purpose of God. 2)Isa 28:16 For this cause says the Lord God, See, I am placing in Zion as a base, a stone, a tested stone, an angle-stone which is certain and of great value: and he who has faith will not give way. 4)Rev 21:14 And the wall of the town had twelve bases, and on them the twelve names of the twelve Apostles of the Lamb. 1. 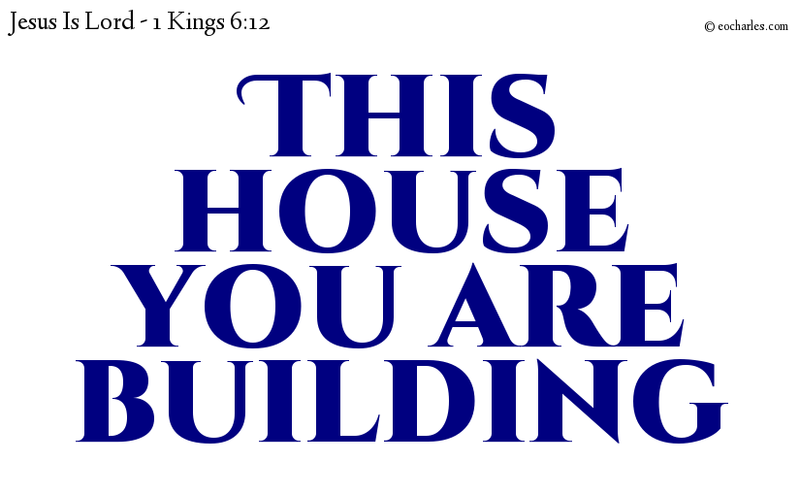 ↑ 1Co 3:11 For there is no other base for the building but that which has been put down, which is Jesus Christ. 2. 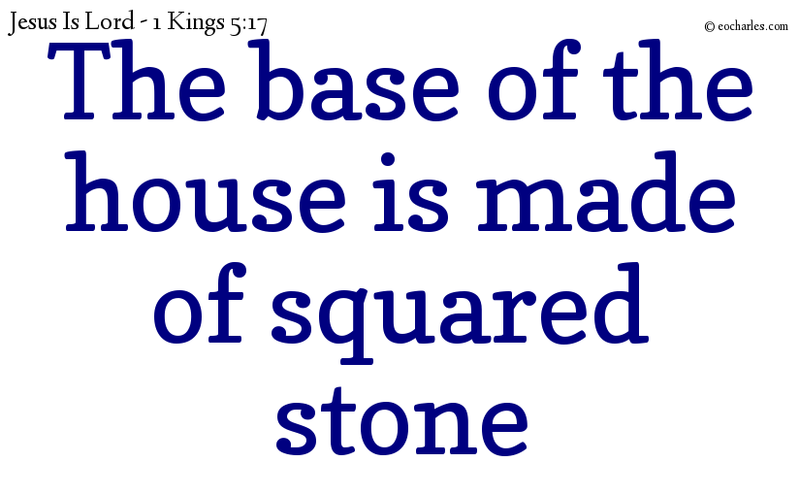 ↑ Isa 28:16 For this cause says the Lord God, See, I am placing in Zion as a base, a stone, a tested stone, an angle-stone which is certain and of great value: and he who has faith will not give way. 3. ↑ 1Pe 2:6 Because it is said in the Writings, See, I am placing a keystone in Zion, of great and special value; and the man who has faith in him will not be put to shame. 1Pe 2:8 And, A stone of falling, a rock of trouble; the word is the cause of their fall, because they go against it, and this was the purpose of God. 4. ↑ Rev 21:14 And the wall of the town had twelve bases, and on them the twelve names of the twelve Apostles of the Lamb. 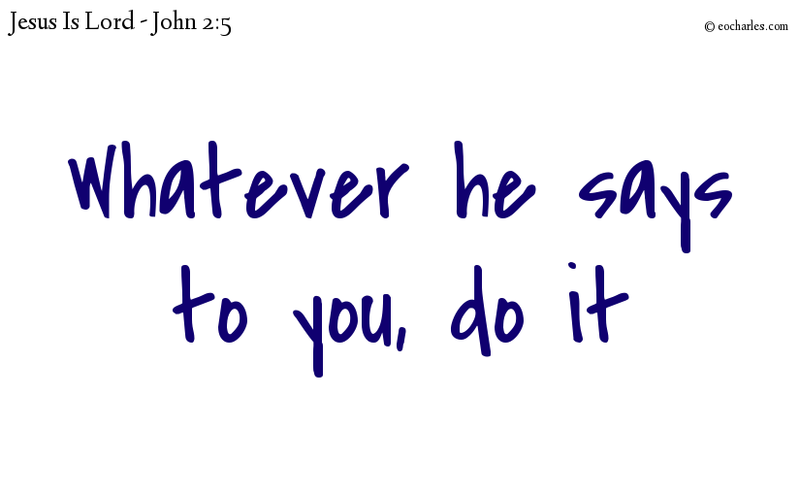 His mother said to the servants, Whatever he says to you, do it. And to those who were trading in doves he said, Take these things away; do not make my Father’s house a market.